I just uploaded a bunch of photos to Flickr. There are some of Delilah, looking cute, some of Elliott, looking cute.. well, you get the idea. There’s a plethora of French Bulldog cuteness going on. All of that photo posting, and the (hopefully) upcoming litters reminded me of something I’d been meaning to do – start a dedicated blog for my French Bulldog photos and videos. Personally, it drives me nuts when I visit a blog and get bogged down in a ton of photos. I’m on satellite – slow, slow satellite – and a photo heavy blog can slow me to a crawl. I assume that the same holds true for other people, as well. 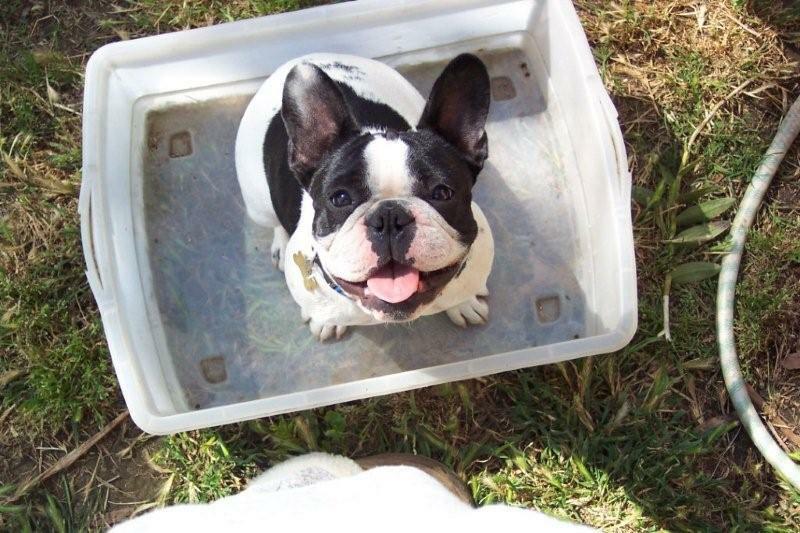 Still, I like uploading photos, so I decided to start a blog just to feature my French Bulldog photos. It’s where I’ll be posting samples from some of my favorite sets uploaded to Flickr, as well as the newest videos of the pups or of the dogs being silly. I’ll add notes in my main blog posts here, so you’ll know where to find them, but this way you’ll have a choice. I’ll still post the occasional small photo here, naturally, but the big ones are over at the new blog.